For those of you who haven’t been keeping up with Marie Kondo hype train, her core philosophy is about only keeping things that spread joy. I believe that this can be applied to the online platforms you’re using to promote your business, blog, and podcast, as well. Because engaging with your audience online isn’t just about selling. It’s also about picking mediums that feel natural to you. In this episode, I talk you through how to take methods that aren’t bringing you joy or results out of the equation. 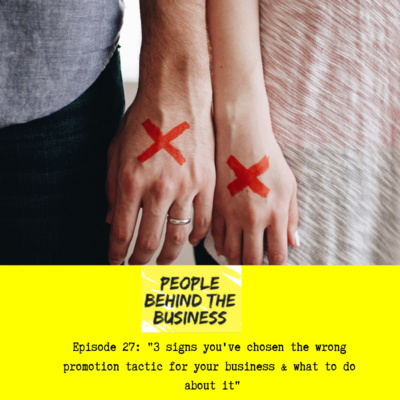 As always, you can check out the show notes for this episode via https://www.rosemaryrichings.com/podcast/3-signs-youve-chosen-the-wrong-promotion-tactic-for-your-business-what-to-do-about-it. 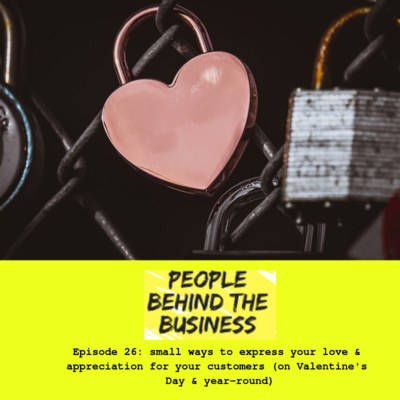 Just in time for Valentine’s Day, here’s an episode where I share some ways that business owners have shown and continue to their love and appreciation for their customers. I believe that it’s the little things that count when it comes to expressing your love and appreciation. And many of the examples discussed in this episode are proof that I’m not the only one who thinks that way. Head on over to https://www.rosemaryrichings.com/podcast/small-ways-to-express-your-love-appreciation-for-your-customers-on-valentines-day-year-round for more info what you just heard! As someone with a blog, and a podcast I’ve got so many emails (“pitches”) from people interested in being guests on my podcast, or contributors to my blog. And as much of a privilege as it is to get emails from people from all over the world, the pitches that are bad are extremely bad. 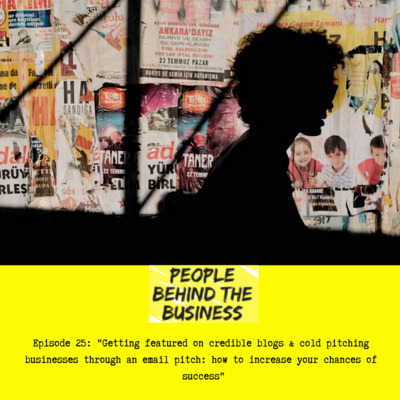 With this episode, I hope to not only decrease the number of bad pitches that show up in my inbox but give listeners a quick intro to what makes a pitch “good”. 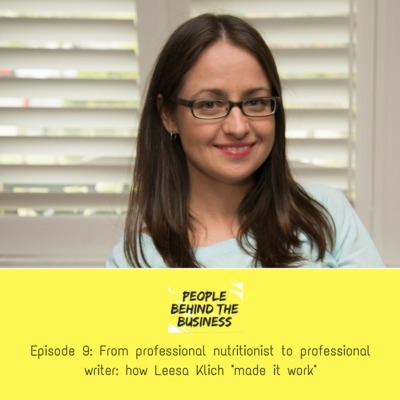 This episode will be useful for anyone that wants to get press attention through being featured on everything from podcasts to blogs and magazines. The key takeaways can also be used to cold pitch potential customers, and actually get a response. A portion of this episode was originally a Facebook Live I did on my Facebook Page: (https://facebook.com/rosemaryrichings). If you’re on Facebook, feel free to like my page. Because you never know. I might do more lives just like this in the future! 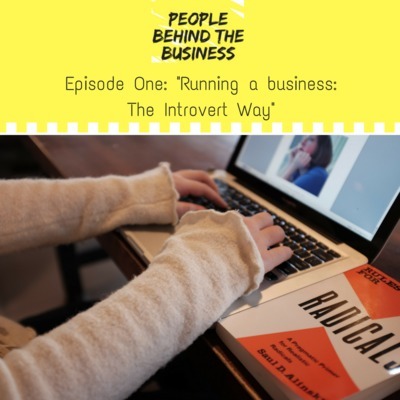 And don't forget to check out the show notes via the following link: (https://www.rosemaryrichings.com/podcast/getting-featured-on-credible-blogs-cold-pitching-businesses-increasing-your-chances-of-success) when you're done listening to this episode. Yolanda McAdam really understands the reality of being a small business owner, for one very simple reason: Her business, Suite 532 isn’t her first business. First there, was a safari business. Then, there was a coaching business. But, as a result of burnout, and the challenges of moving from South Africa to Canada and not knowing a lot of people, she decided to go back to working a 9-to-5 job for a while. Eventually, she quit that job and started the business she runs today, Suite 532. For those of you who are currently running your first business, there’s a lot that you can learn from her. 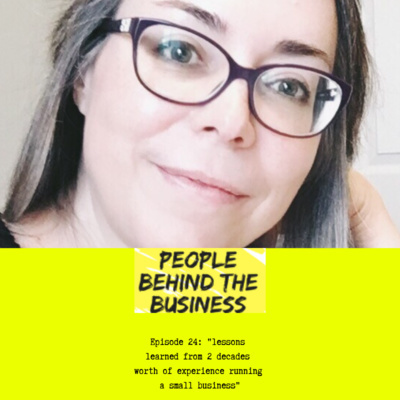 Because this episode is Yolanda’s honest reflection on what making plenty of mistakes along the way taught her about what it takes to succeed as an online business owner. Looking for more detailed show notes? Visit http://www.rosemaryrichings.com/podcast/lessons-learned-from-2-decades-worth-of-experience-with-running-a-small-business. Every piece of your branding is definitely important (from the logo, to your website, to the photos you feature). So…how do you make sure that you don’t get too caught up in how “nice-looking” your colour-scheme is, and focus on branding your business in an intentional way? More importantly, why is that so important? 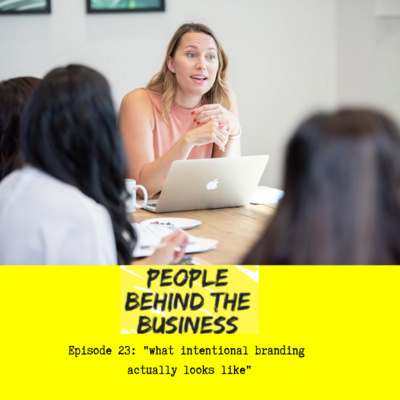 In this episode, I spoke to a branding specialist who answered both those questions. For more detailed show notes for this episode, check out https://www.rosemaryrichings.com/podcast/what-intentional-branding-actually-looks-like. What makes blogging a worthwhile and strategic choice for your brand? It’s all about the choices you make, from the groups that you interact with, to the content that you write. In November of 2018, I led a Facebook Live session on strategic blogging in Miranda Nahmias’s Facebook Group, Grow Like Woah. In this session, I shared with a group of entrepreneurs, exactly how they can produce and promote content that attracts not just any reader, but the right reader. The following episode is an edited, audio copy of that session. This session provides answers to the following questions: •	What do clients and customers want to know when they read your blog? •	Does consistency matter? 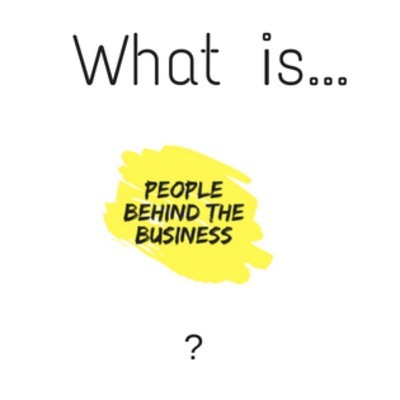 •	What are some free and accessible online groups you should be using to find out exactly what peoples' most frequently asked questions are? •	What should you do when you run out of ideas? •	What are a few content promotion methods you can use to keep on getting more attention? Looking for the show notes? 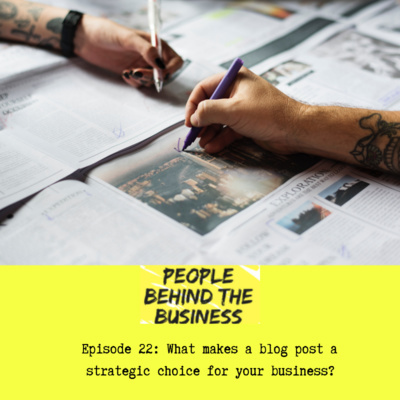 Check out https://www.rosemaryrichings.com/podcast/what-makes-a-blog-post-a-strategic-choice-for-your-business for more info. 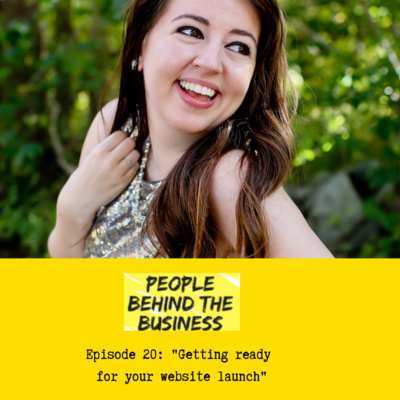 Because I realize that not “all” of my listeners have pulled the trigger, and launched their business, I thought it would be a great idea to have a website launch expert on the show. 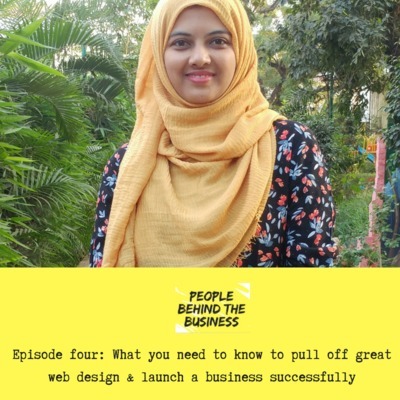 In fact, this episode answers a very important question: What makes a website “launch-ready”? And what if you’re not yet at the point where you can outsource your website copywriting and design to a freelancer? What are the absolutely essential components that you need to attract clients? Looking for the show notes? Visit https://www.rosemaryrichings.com/podcast/getting-ready-for-your-website-launch for more info. Think marketing is too expensive or complicated? This episode will change your point of view. Because I looked at things from the point of view of the loyal customer. This involves analyzing examples of wonderful things my favourite small businesses have done in the past to keep me coming back for more. Because building trust and loyalty isn’t just cheap. It’s also one of the most powerful forms of advertising. Looking for the show notes? 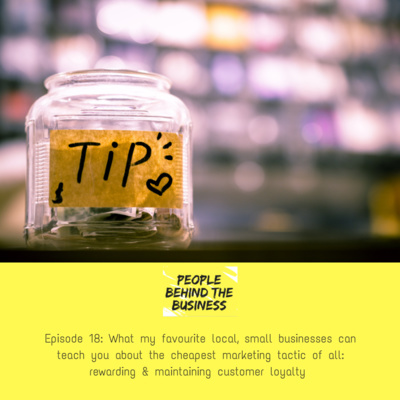 Visit https://www.rosemaryrichings.com/podcast/what-my-favourite-small-businesses-can-teach-you-about-customer-loyalty for more info. Ever dreamed of starting your own independent publication? Not sure what it takes to get readers, subscribers, advertisers, and contributors to participate? 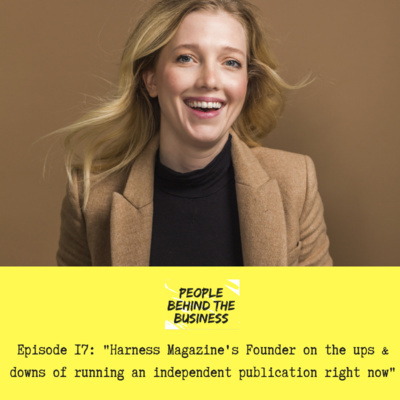 Recently, I spoke to Ashley Rector, the founder of Harness magazine about the good, crap, and totally awesome parts of starting and running your own magazine in a digital age. If you have a great idea for an independent publication but are worried about its financial sustainability, there’s a lot you can learn from Ashley’s story of how she builds Harness from scratch. On this episode, you’ll learn exactly what it takes to run a successful independent publication. Looking for the show notes? 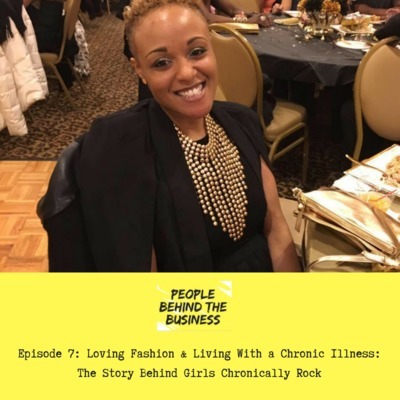 Check out https://www.rosemaryrichings.com/podcast/harness-magazines-founder-on-the-ups-downs-of-running-an-independent-publication-right-now for more info. Finding the right co-founder is one thing, but what do you do when you also live in two different cities and time zones? 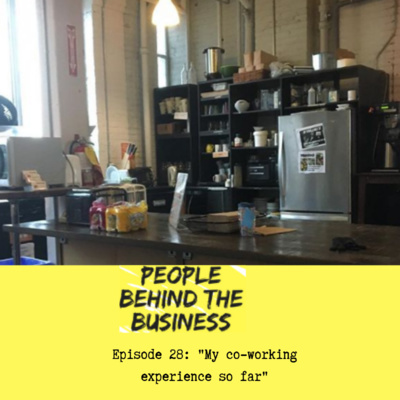 On this week’s episode, I talked to two friends who successfully made living in two different cities, while running a business together actually work. Here’s your chance to learn how Anna and Mallory of Bold and Pop developed a system for everything from dividing up the work, to keeping the lines of communication open with their clients. Looking for the show notes? 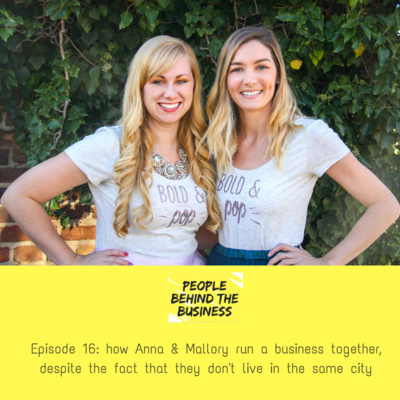 Check out https://www.rosemaryrichings.com/podcast/how-anna-mallory-run-their-business-bold-and-pop-while-living-in-2-separate-cities for more info. Did you know that one-third of online activity is spent watching videos? And chances are you’ve heard numerous others stress the growing popularity of video marketing as well. But what if you’re either super camera shy and not all that great at talking in front of a crowd of strangers? Do you need to be on video as well? Well…a lot depends on who you’re trying to reach. So, if being on camera proves to be a necessary evil, and it terrifies you this episode is for you. 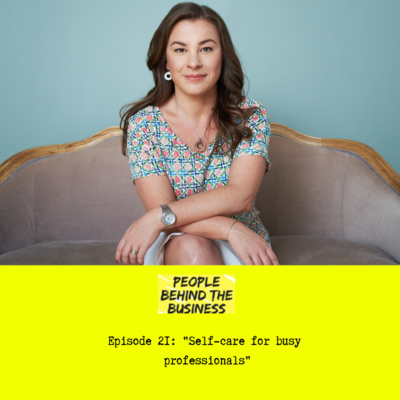 In this episode, I talked to a visibility expert who works with the types of people you won’t see presenting at conferences or doing Ted Talks. However, they have something worthwhile to share and want to reach a lot of people quickly. Looking for the show notes? 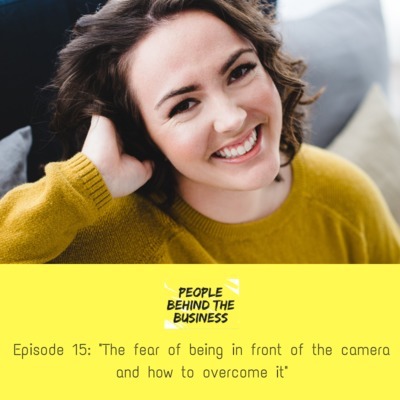 Visit https://www.rosemaryrichings.com/podcast/the-fear-of-being-in-front-of-the-camera-how-to-overcome-it for more info. At some point in your business, you’ll find yourself having to go in front of a camera. This can be extremely terrifying if you’re not used to it. Especially if you struggle with insecurities about either the way you talk or some part of your body. That’s exactly why the next two episodes are conversations in two parts with a photographer, and a visibility specialist. 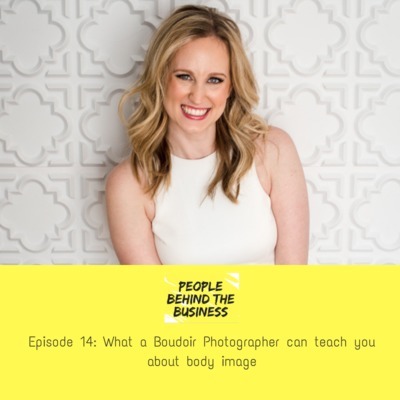 Welcome to part one of this series where I talk to a professional boudoir photography about how she builds trust and helps her clients overcome their insecurities about their bodies. 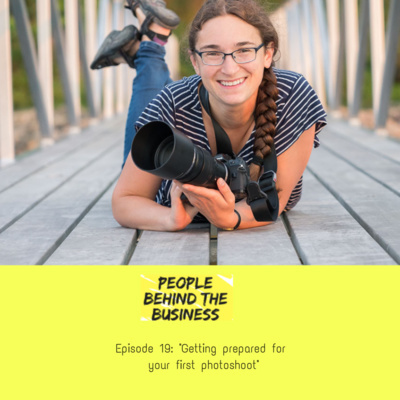 In this episode, you’ll learn exactly how Katherine Henry prepares her clients for a boudoir photo shoot. Looking for the show notes? Check out https://www.rosemaryrichings.com/podcast/what-a-boudoir-photographer-can-teach-you-about-body-image for more info. If you’ve ever wanted to train creative professionals, and aspiring creative professionals then this episode is for you. It is also an opportunity to dive into what having your own YouTube channel is really like. I brought someone on the show who is juggling both. Shaw Bernard is a model with over sixteen years of experience in the fashion and beauty industry. She also has her own pop culture focused YouTube channel. 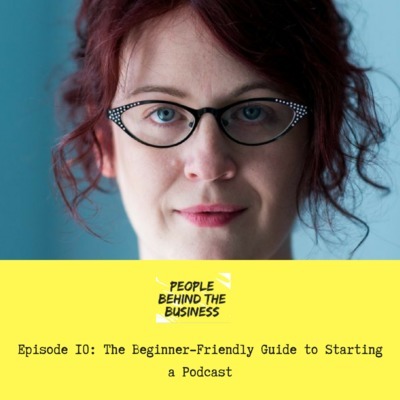 And she’s here to answer any questions you might have about juggling both a business, and a side project, like a podcast or YouTube channel, and training the next generation of creative talent. Looking for the show notes? 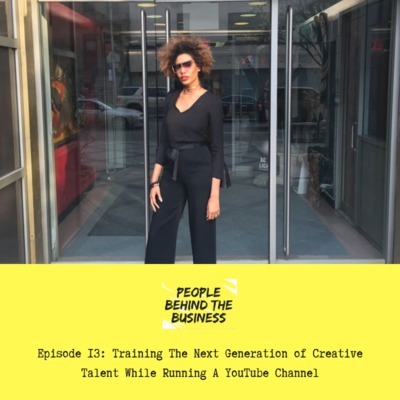 Check out https://www.rosemaryrichings.com/podcast/training-the-next-generation-of-creative-talent-while-running-a-youtube-channel for more info. Did you know that 54% of the U.S workforce is not very confident that the work they do today will exist in 20 years? This has led to an influx of people either freelancing or considering freelancing. And this often triggers a very important question: “when is the best time to start freelancing?” The truth is, there is no perfect time. Like most important life decisions, you can either dive in head first and give it a try or have regrets about something you'll do "one day". This week’s guest is proof of just how true that is. She left a 9-to-5 job she wasn’t too keen on to start Confetti Social, a social media marketing company for creative entrepreneurs. Looking for the show notes? Visit www.rosemaryrichings.com/podcast/why-theres-never-a-perfect-time-to-quit-your-day-job-to-freelance-full-time for more info. Even the most successful people I’ve met face challenges within their work and personal lives, and I think people often think that things will stay the same once you’ve “made it”. So, what do you do when running your own business has gone from a great idea to a source of stress and hardship? At first, being a part-time world traveller and a part-time web designer was going absolutely great for Paula. Then, one day she found herself struggling with depression while facing a very relatable struggle: running out of money. However, she didn’t let that stop her. Instead, she focused on meeting her money goals. And it helped her attract contracts worth thousands of dollars. Looking for the show notes? 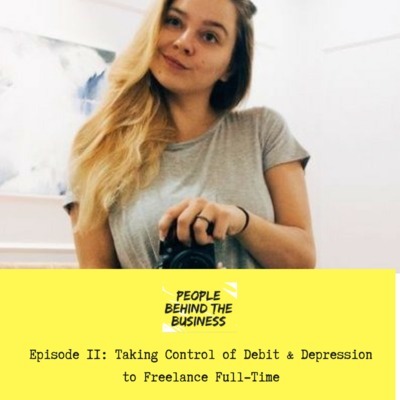 Visit https://www.rosemaryrichings.com/podcast/taking-control-of-debt-and-depression-to-freelance-full-time. We all want to do good in the world, we all want to be successful. But we can’t do any of the above without taking risks life will be filled with endless conversations about what will happen “one day”. In fact, I experience this all the time when I talked to aspiring freelancer friends. 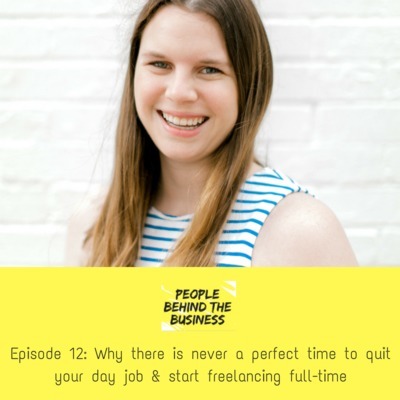 They ask me:” how can I make money off my passion?” And when I reveal just how much work is required to do it, I check in with them months later, and they’re exactly where they were when we first talked about their interest in freelancing. That’s exactly what interested me the most about this week’s guest. She’s a motivational speaker who travels across the US and talks to people about rejection and kindness. So, if all that is holding you back is your fear of the word “no”, there’s a lot you can learn from her. Looking for the show notes? 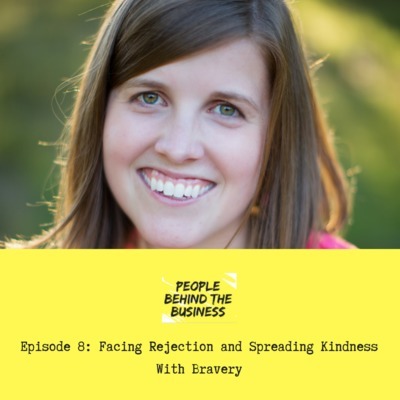 Check out www.rosemaryrichings.com/podcast/facing-rejection-and-spreading-kindness-with-bravery for more info. Starting your own small business is a bumpy road to success no matter how long you’ve lived in the town or city you’re based in. But what if you want to also start your own business outside of your home country, and be location independent? How do you figure out all the details, like time zone differences, your local tax rules, and knowing absolutely no one local who works in your industry? That can be especially challenging if you’re facing other challenges as well, like cultural differences and language barriers. 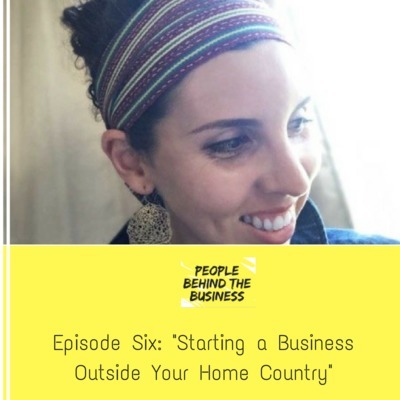 However, this week’s guest found a way to overcome those challenges and start a location independent business ten years ago (and she is still in business)! Looking for the show notes? Check out www.rosemaryrichings.com/podcast/starting-a-business-outside-your-home-country. I don’t know about you, but I hate customer profiles, despite the fact that they’re such a common marketing tactic. In fact, I wrote an entire article on finding your ideal audience, and why I hate customer profiles for the Think Creative Collective Blog. 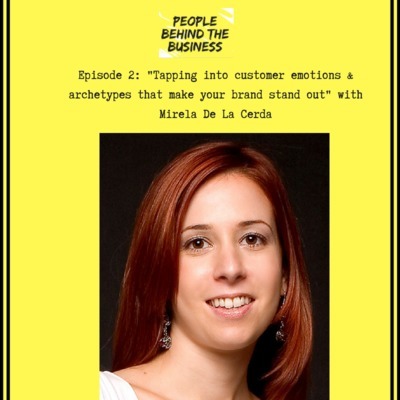 That’s exactly why I invited Mirela De La Cerda, the founder of Project M London to talk about her experiences using emotional branding, AKA archetype branding to help fashion and beauty brands successfully reach their customers. For those of you that don’t know this, archetype-based branding allows brands to tap into the emotions, meaning, and mindset behind their business and their products. In other words, it’s essentially the unconscious message that companies put “out there” about who they are/ what they do, and how this impacts consumer purchasing decisions. Looking for the show notes? 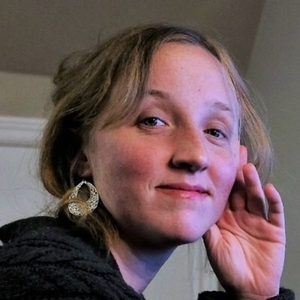 Check out www.rosemaryrichings.com/podcast/tapping-into-archetypes-emotions-to-make-your-brand-stand-out. Before Thursday’s debut episode is released I just wanted to give a brief intro to what you can expect out of my podcast and why you should tune in this season.